Nashik as well as Pune are located in the western region of Maharashtra and are at a height of 2000 ft above sea level. Due to their locations, these cities of the state of Maharashtra see weather conditions, different from coastal parts. The city of Nashik usually remains colder than Pune by virtue of its distance which is 200 km north of the latter. Winters are usually on the milder side for both Pune and Nashik with temperatures being recorded in double digits only. The only time single digit temperatures are observed is when North India observes its harshest of winters. In fact, the weather over both the cities in terms of wintry spells are in tandem with conditions over the North. A few days ago, when North India was reeling under intense Cold Wave conditions, many parts of Maharashtra also saw a significant drop in temperatures. In fact, Nashik had been observing low temperatures since December and only a break was seen in terms of increased temperatures for some time. During the third week, temperatures had dropped by 7 to 8 degrees. From December 27, Nashik saw a prolonged single digit temperature until Lohri. In fact, during the third week temperatures had dropped by 7-8 degrees. On December 29, minimum had dropped to a mere 5 degrees Celsius in Nashik. 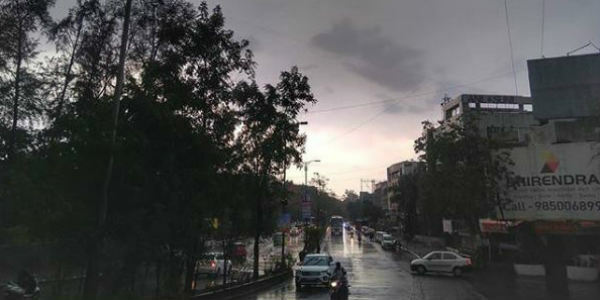 Pune had experienced similar weather conditions but was slightly warmer than Nashik. Now, temperatures have increased and the minimum for Nashik has settled at 11 degrees and Pune at 11.8 degrees. Expect similar weather to continue for at least a week.